Thanks for setting this up. I just ordered 2 of them. Just not what I was expecting when ordering a license plate frame. I was surprised they were just flat cutouts, but I'm still happy I got them. Quality wise they seem like an $8 item, so I/m really glad we didn't pay full price. I used a couple of fat O-rings as spacers for the front plate so it sits on top of the factory frame. I also need to put something on the back like cabinet door bumpers or similar so the rear doesn't rattle when I shut the rear door. I did apply some UV protection so I hope they won't fade. It is illegal to mount colored glass, plastic, or any other type of covering on your license plates that alters or obscures the letters, numbers, decals or the state where the vehicle is registered and when the registration expires (Va. Code 46.2-716). Keep the registration card with you whenever you operate the vehicle. The word Virginia goes all the way up to the top of the holes, and the registration stickers come close to the side of the top holes. It will be a Dremel job, hope it doesn't look cheap after I cut it out. Bad enough they make you pay an EV tax every year, don't need a ticket to boot. Well my plates arrived yesterday. I think the black metal frame looks good on my "B". I did have to bend the top slightly to fit. 2014 Mercedes Benz Cirrus White B Class Ouch, it was hit! Frame damage and it is totaled. 2016 VW eGOLF SEL w drive assist. 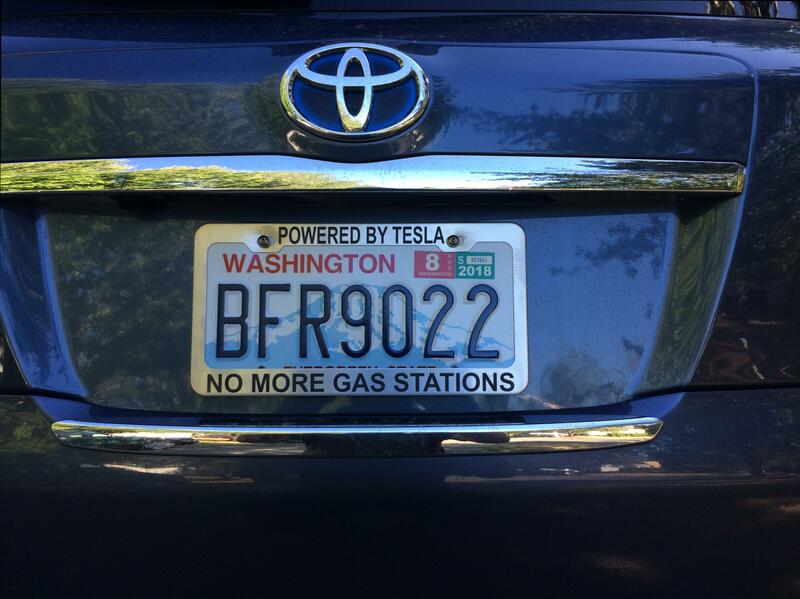 I just installed the second of two license plate frames from EVPlates.com (originally bought two) after nearly four years on the first one. Wish I had more. The original company seems to have gone out of business. Does anyone know someone who can replicate the original frames we ordered. Anyone else interested in having one? While the frame wasn't perfect, it has been a nice touch. Haha I was just about to put my second frame on too. 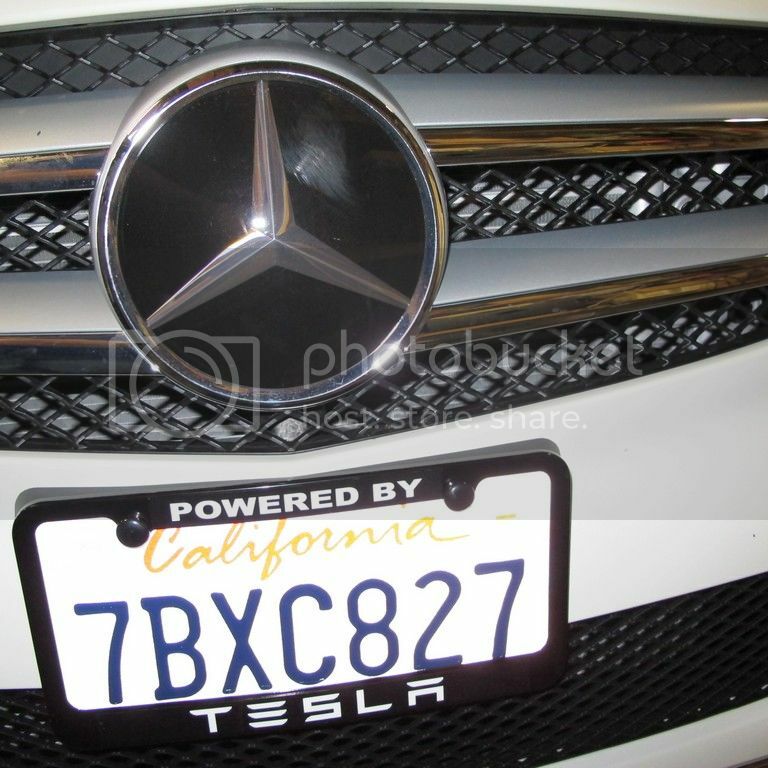 I arranged this group buy for a metal license plate frame from the Frames Co in Southern CA. See the link below. I believe they are still around and they can make variations on the original as mentioned in the thread. I remember this. I set up the group but for the plastic ones. I think your metal ones were twice the price. Custom license plate frames (in stainless steel), via Amazon. Details in this post. You don't get graphics, though, just letters. Maybe not the best or cheapest, but it certainly was easy to order, and the product is good quality.